Coming out in theatres this Friday (July 6), Mr. Chandramouli directed by Thiru and starring the father-son duo, Karthik and Gautham Karthik has left many quite curious and excited. Produced by Creative Entertainers with distribution by Dhananjayan Govind’s BOFTA Media Work India Pvt.Ltd with music by Sam CS, Mr. Chandramouli will be about the crimes that take place in call taxis. In the meantime, actress Varalaxmi Sarathkumar, whose role in the film has not been revealed up until now will reportedly be playing an innocent character and will be a total contrary to her roles in previous films. 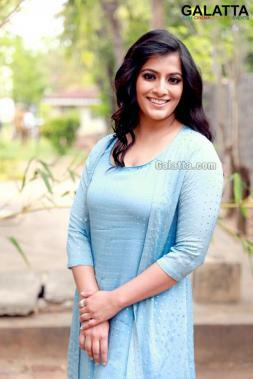 This is indeed a role reversal for Varalaxmi who has in her past roles been depicted as a bold woman. Actress Regina Cassandra is the main female lead and has set temperatures soaring after being featured in the "Yedhedho Aanene" song.